Trigeminal neuralgia is sometimes referred to as tic douloureaux, but it also has a less elegant-sounding nickname: the "suicide disease." The intensity of the facial pain generated by this disorder of the trigeminal nerve is sufficient to cause some tortured individuals to take their own lives. If you're affected by this neurological condition, you should know that it is indeed possible to overcome it without surgery or other drastic measures. Our skilled chiropractor, Dr. Korey Kothmann, can administer and an advanced anesthetic technique called the MiRx Protocol to provide safe, effective Lubbock trigeminal neuralgia treatment. The trigeminal nerve, also called the fifth cranial nerve, extends from the base of the brain up into the front of the skull, where it branches out into a network of nerves that serve the face, mouth and jaw. Any situation that causes compression of this major nerve can interfere with normal nerve signaling. This produces a variety of symptoms ranging from numbness to several types of agonizing pain. The pain usually takes the form of stabbing or "electric shock" sensations that shoot through the right side of the face. Even the tiniest stimuli, such as brushing your teeth, yawning or touching your face, can set off a bout of pain. Why would your trigeminal nerve be compressed in the first place? Some cases may be caused by MS-related nerve damage, a tumor or a blood vessel pressing against the nerve. 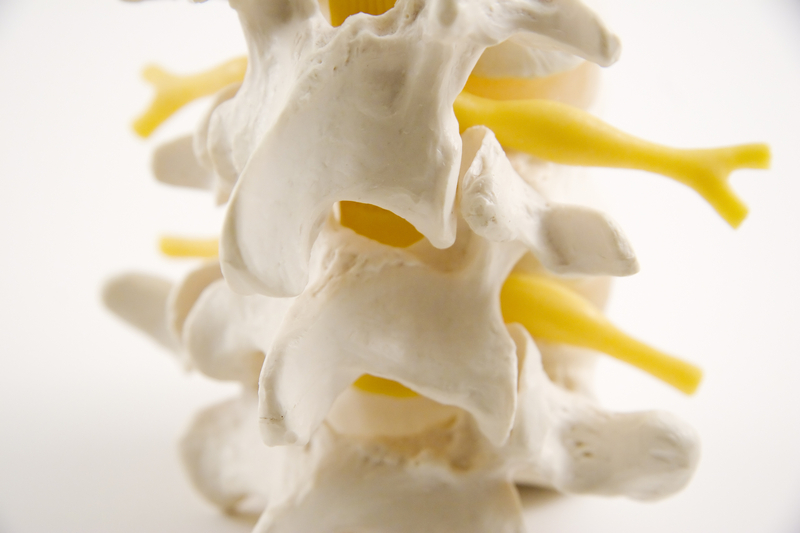 But for many people, the underlying cause is a vertebral misalignment occurring in the upper cervical spine. Typical systemic painkillers such as NSAIDs rarely do much, if anything, to relieve the unparalled pain of trigeminal neuralgia. Lubbock Advanced Physical Medicine may be able to relieve your symptoms once and for all by addressing the sources of your pain. for instance, our chiropractor will perform a detailed physical evaluation to pinpoint any cervical spinal issues that may be producing your symptoms. If a misalignment is found, careful chiropractic adjustments to the upper cervical spine, particularly the first vertebra (known as the Axis), can relieve long-term impingement of the trigeminal nerve. For more immediate relief (even when a spinal misalignment isn't present), we offer the MiRx Protocol SGP nerve block. This method uses a special applicator to deliver anesthetic nasal spray directly to a nerve cluster called the sphenopalatine ganglion. The medication acts as a chemical nerve block, stopping the abnormal nerve signals at this point. Even the most intense pain from trigeminal neuralgia can be completely relieved in a matter of seconds using this technique. Don't let the unpredictable agonies of trigeminal neuralgia drive you to desperation. Stop the "suicide disease" in its tracks by calling Lubbock Advanced Physical Medicine at (806) 791-3399 for an evaluation. We want to be your resource for Lubbock trigeminal neuralgia treatment you need!